Hairy little beast ain't it? Decided to fix it so I'll be replacing motor and heating element/thermostat assembly. Got everything apart, thanks again AJ for the video link. The idler you have in there now is IMHO a poor design. 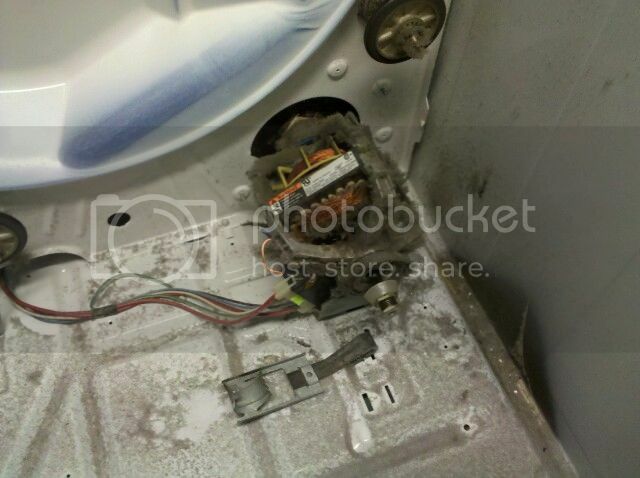 The one with the wheel I listed the part number to is the standard idler they used for years in your type of dryer. Thanks to everyone, my dryer is up and running again. I replaced the motor, heating element, and the rollers and belt. You guys are great!